^ The Commissionership: A Historical Perspective. MLB.com. MLB Advanced Media. [March 11, 2016]. The strength of the American League grew as an increasing number of National League players opted for the higher salaries offered by the new association. 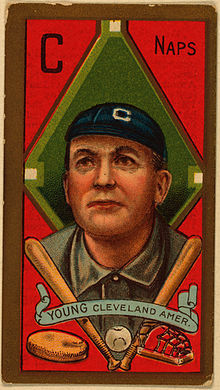 Faced with the prospect of losing many of its best players, the NL chose peace and declared the AL its equal in 1903. This led to a new National Agreement and the birth of the World Series. 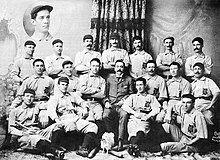 The American and National Leagues were established as major leagues and all other associations comprised the minor leagues, which fell under the jurisdiction of the National Association of Professional Baseball Leagues. ^ Team-by-team information. mlb.com. [2008-09-08]. ^ 5.0 5.1 春季訓練官方網站. MLB. [2011-03-05]. ^ Baltimore Orioles Official Website. MLB. [2011-03-05]. ^ Boston Red Sox Official Website. MLB. [2011-03-05]. ^ Detroit Tigers Official Website. MLB. [2011-03-05]. ^ Houston Astros Official Website. MLB. [2011-03-05]. ^ Minnesota Twins Official Website. MLB. [2011-03-05]. ^ New York Yankees Official Website. MLB. [2011-03-05]. ^ Tampa Bay Rays Official Website. MLB. [2011-03-05]. ^ Toronto Blue Jays Official Website. MLB. [2011-03-05]. ^ Atlanta Braves Official Website. MLB. [2011-03-05]. ^ Florida Marlins Official Website. MLB. [2011-03-05]. （原始内容存档于2011-02-19）. ^ New York Mets Official Website. MLB. [2011-03-05]. ^ Philadelphia Phillies Official Website. MLB. [2011-03-05]. ^ Pittsburgh Pirates Official Website. MLB. [2011-03-05]. ^ St Louis Cardinals Official Website. MLB. [2011-03-05]. ^ Washington Nationals Official Website. MLB. [2011-03-05]. ^ Jonathan Mayo. Callup time gives clubs options - A look at the choices facing teams on Sept. 1. mlb.com. 2004-08-30 [2009-04-30]. （原始内容存档于2009-09-18） （英语）.